It is very, VERY solid. It uses a plate that is 15mm high and as you can see, is just a tad wider than the base itself. It uses 6 bolts to attach the base to the plate and then uses M8 threaded dogs underneath to attach inline to the MFT. 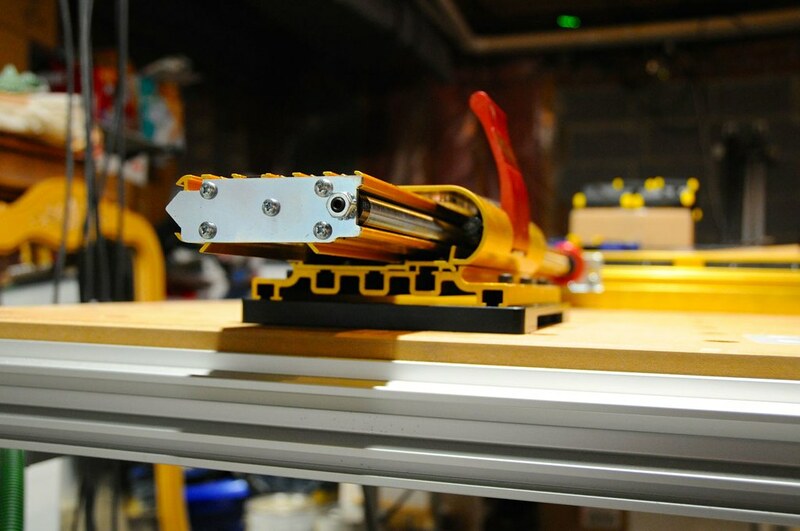 To keep the weight down, he milled out various areas as well as put a recess on each side to pull it up when disconnecting from the table. Setup is very simple. You have three spots to fit the 2 dogs so you can go to the outside areas, or if you are limited for space and need to hang off the edge of the MFT (or any other bench) you can go on the back two dog holes. Fully extended, the thing is rock solid! I can barely make the fence move... The inline placement of the dogs and the material make this thing a beast. 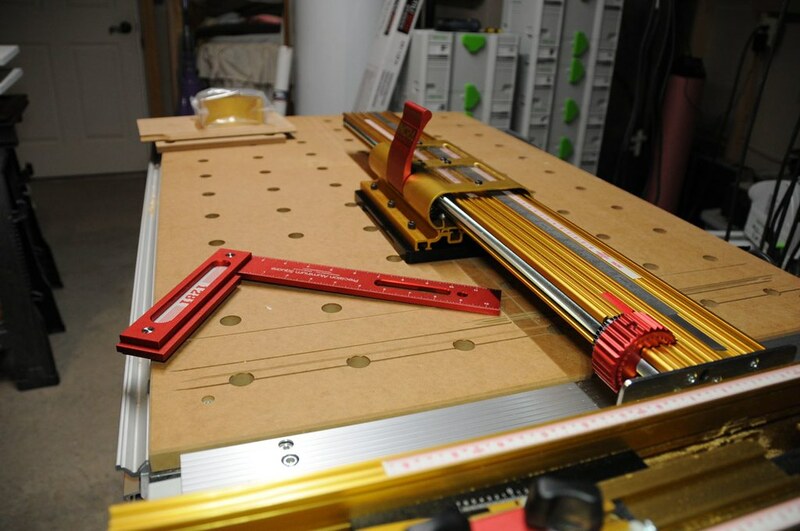 With my prior setups, I was at the mercy of other elements and clamps and such. Even with my LS out at 25", it has little to no movement. So short story is, the plate is light yet very strong. The inline layout of the dogs (and they are very snug in the holes) and using the knobs make it very strong forward to aft, but also because of the design of the LS itself, it has almost no play in the fence when fully extended. I am very pleased with this offering and would highly recommend it to anyone with an MFT using an Incra LS. I have done some routing with it and it works like a charm. 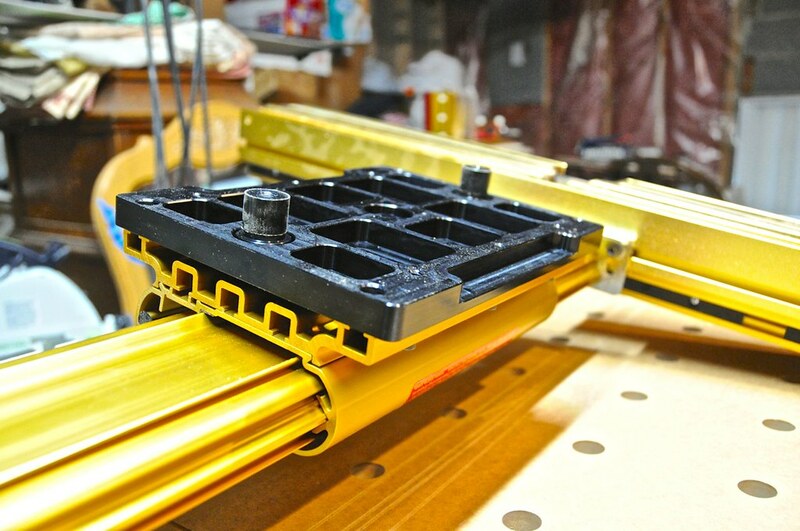 I plan on making some further mods to join my CMS slider to the Incra Right Angle Fixture so it is "one unit". Feel free to email me any questions or if you want some additional pics. 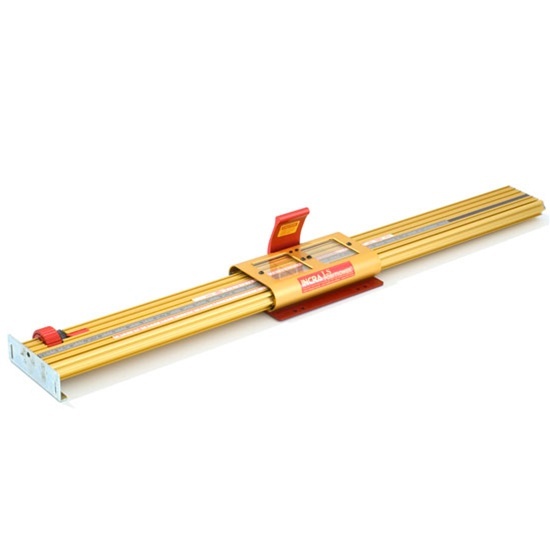 I've got the 36" table saw positioner TS-LS (with red base plate) and was wondering if it's also compatible before I put my order in? Very cool - I've got an LS positioner just waiting to be pulled from my old table saw. Jonathan, I can't tell from that pic but the bolt holes look different. On the newer t-track style, they are 3" apart. I will get the exact specs when I am back home. I hope the bolt pattern matches up! The positioners for the TS are different and the bolt holes do not line up. I have the TS 32 and a standard 25 - the TS has a lower profile plate as opposed to an extruded part to fit the alloy plate that sits on the rails; they do not share bolt hole alignment. Maybe they can make updates in a future production run, but wishful thinking probably. 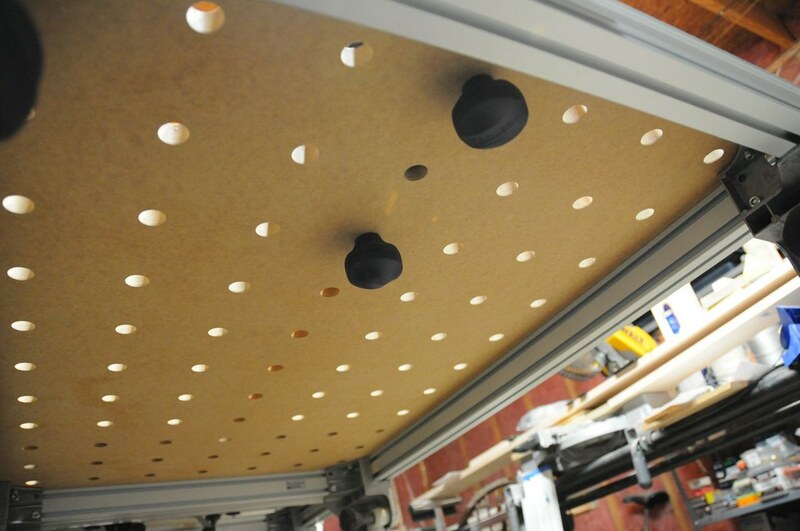 The threaded holes are 3" apart, front to back. They are also 1.5" away from the edge of the plate with is 9" long. I can mock up the full dimensions if it helps. 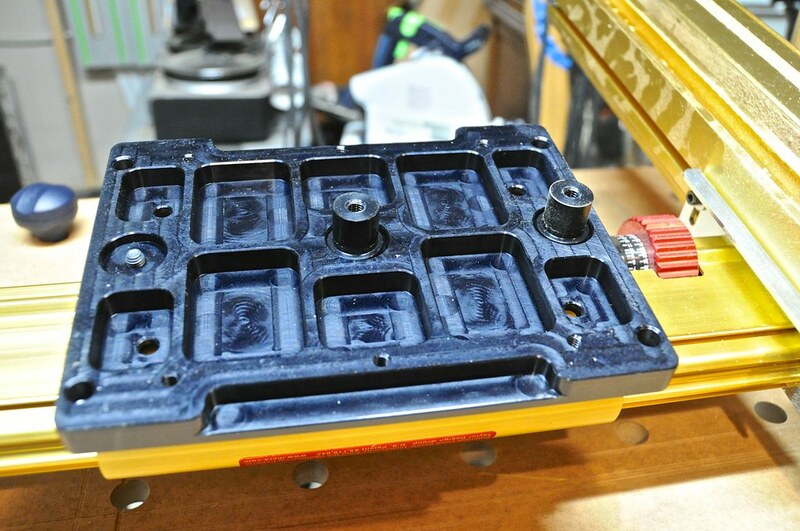 I would contemplate drilling holes to accept the 6 bolts vs. buying a new base for the LS/TS. I bet it possible (provided the existing bolt holes aren't extremely close by. This is great. I was just about to order the Incra positioner and was contemplating having a similar plate made. Looking forward to placing an order soon. It will be a game changer for folks wanting an LS or ones who have it. I assume you are like me and don't have a separate table for assembly, routing, cutting, etc. 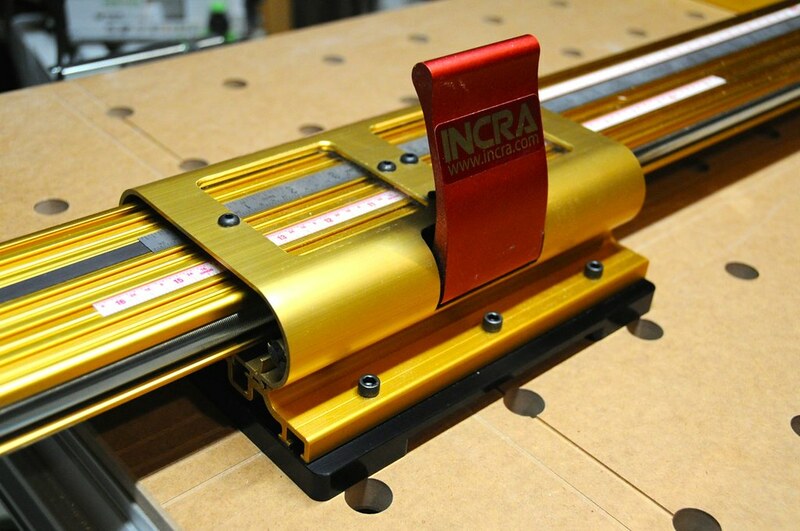 Being able to pull my Incra off in a few seconds and then put it back on with no adjusting is awesome. Hope they ship worldwide !!! Drop them an email regarding the part, they should be able to get it for you. I just ordered one. This is exactly what I need but never find the time to make. The company that made the plate is a small US based company. I had the link in my original post as well as slappy posted it. They do ship international as well. I would email him questions about going through a regional Incra distributor. The plate is so worth it. It is a joy to work with. It took me < 10 minutes for initial setup and mere seconds to unattach and reattach. 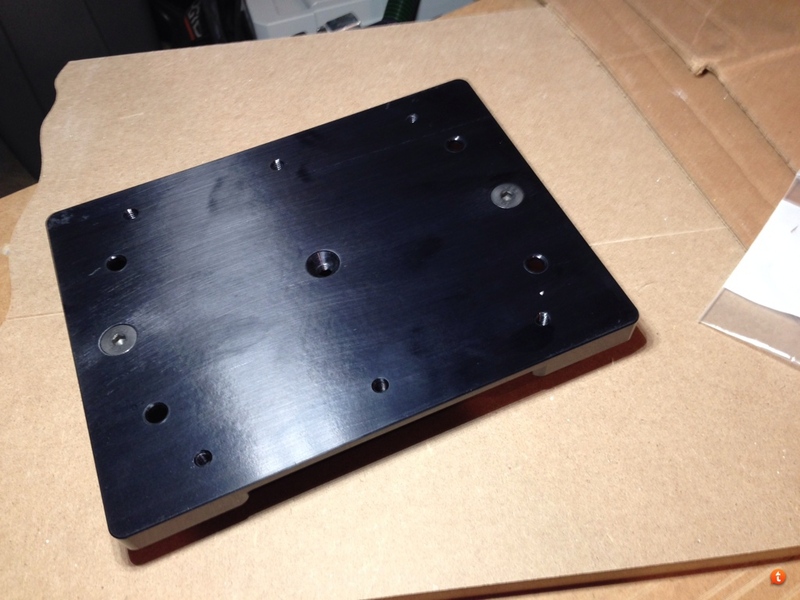 I was referring to the new baseplate for his Incra that Jonathan was considering, not the precision plate. My bad Karel... Trying to read this on a smartphone screen doesn't always work so well! I payed USD 32 for USPS First Class (1-3 days) shipping to Sweden. I am glad you posted, you were one of the people I thought of when this came out! I do hope you end up with one as it is a solid interface. I know you have limited (indoor) space to work with so getting your LS on and off the table quickly is key. Let me know who responds first! that's the beauty of this whole design is the speed in set-up & then removing the LS positioner from the table all the while of being absolutely Square with no need to adjust anything to be square . 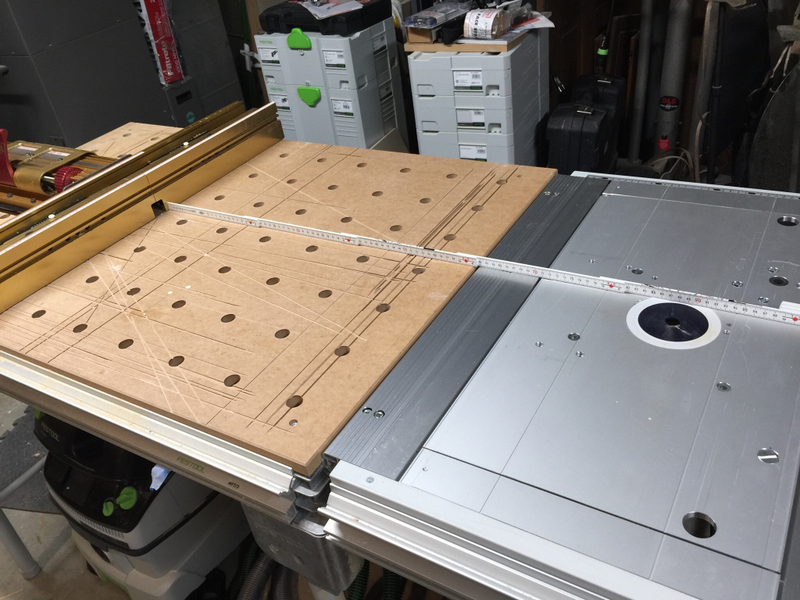 I was working on building my own design but was hung up on getting a absolute square jig outta my own limited tooling in my shop . I had gotten the all materials I needed & was proceeding forward but when this hit , I added up all $$$ I had in material costs , this plate was near that figure . with any mistake or slight flaw in my design that would have put me over in costs of materials & some AL plate stock with holes in it I couldn't use . the materials I have can now be re-purposed but couldn't be used IF I had flawed in any way . Got over my loathing of PayPal and ordered... got shipping and tracking info within an hour or so! I am not the biggest PP fan either (and I contract with them!) but I am glad you are picking one up... I am shooting a quick video how well it works and will have it up In a few. EDIT: Here is the video I made demonstrating how easy it is to "set and forget" this plate... One handed no less!! Bump for video add above. It is mainly for people with MFT and CMS-VL. I use it for routing, cutting and alike. If you ever had to use the stock CMS fence, you would understand a lot quicker! Thanks Bryan! I have no need for one then. Longtime lurker, I just bought the CMS-VL basic table, the Incra 25 Super System and the Precision Dog plate. I got the sliding table and Y hose at the time of purchase so I never knew better. Enjoy the setup, I love mine almost 3 years later!! I have a LS positionner but the steel rule on it has zero on the right side. If I put it on the left side, the numbers will be upside down. I can't find a replacement metric steel rule that has the zero on the left side, how did you do ? Hy, your ruler is right. If you position the fence against the blade, zero has to be under the hairlinecurser of the positionner. now you can slide the fence away from the blade and reed the difference under the hairline. sorry for my bad english. 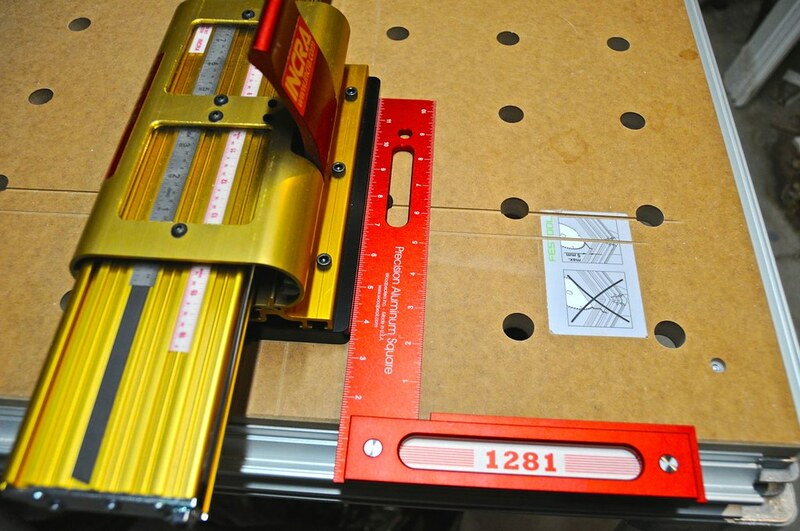 Also, what is the maximum lenght can be cut with the LS positionner base set as far left as possible (with 2 las holes used) and the MFT rail in it's standard position (meaning not especially shifted to the right) ? Starrett has English/Metric left to right in the USA. Not sure about metric only. I am not sure I understand the question. Do you mean the distance between the router bit (or saw blade) and the fence face? If so, it is whatever LS positioner you have. A LS 25 will give you about 24" from face to bit/blade. 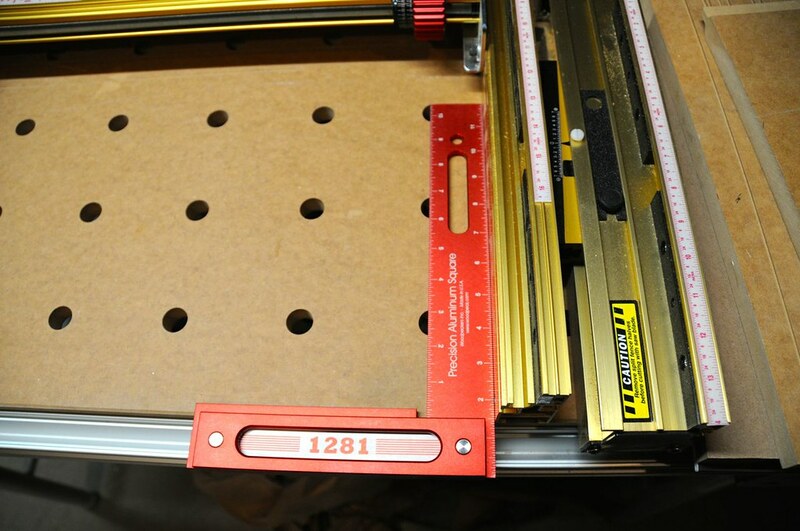 If you move the plate to the last set of holes you will have about 4 feet or so since you are taking the table length. If you have multiple MFTs you could go back really far (not that it is a good thing!). 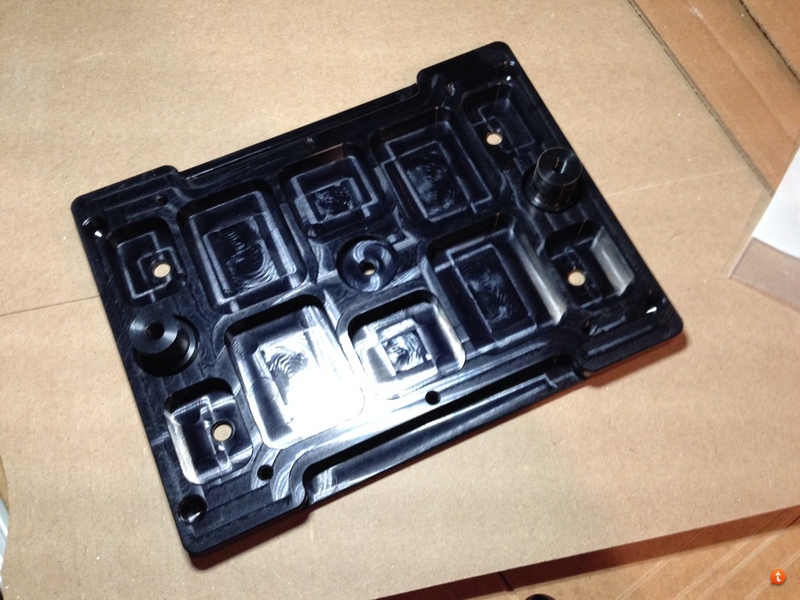 What I mean is, say you have a stock MFT and install a LS positionner using that plate in the left-most position. What is the distance between the LS fence fully retracted and the cut ? I will have to measure it when I am back in my shop. Distance is just under a meter. Right around 90cm with the split fence in and would be at about 97cm without it. So does Festool offer a way to buy most everything in included in the CMS-VL set <except> the fence? That would make this a lot more appealing. Don't really want to pay for two fences I don't think. Their website seems to be non-functional when it comes to router tables right now, so I can't really check. 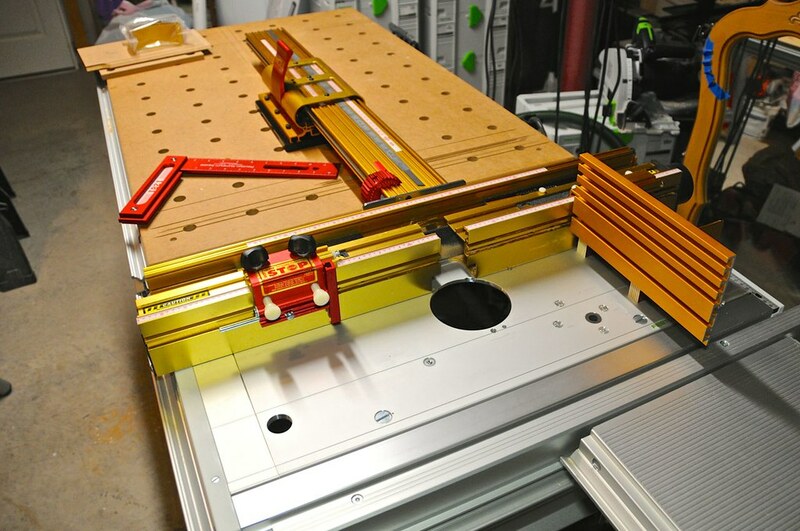 Is the idea here that the Incra LS or TS or whatever serves as a router table fence and acts as a accurate stop for repeatable cuts using the MFT rail? Does the Incra fence MFT combo provide other functions as well? Sorry for so many questions - thanks! bkharmon, your setup looks superb, am I right is saying that you also have the ts module for your setup? could you post some pictures and give a little info? I have a mft3 and just ordered the cms vl. I am very intrested in the saw setup as well as the incra system. Originally I was thinking along the same lines as you and couldn't find a way to buy the CMS-VL set without the festool fence. Long story short I bought the set and the festool fence does complement the Incra fence. I install a 3" long 1/2" spiral router bit and use the festool fence as a jointer to cleanup/shave down the edge of whatever I'm working on. I had a kitchen door that was 2mm wider then it should have been so I used the festool fence to take off 1mm from each side (shaker door). It was faster and more accurate then trying to use the table saw or track saw. I have both and find that even though I really hate the way the Festool fence sets up I use it more than the Incra fence because I do a lot of edge jointing on the router with a power feed and for this it is almost ideal. However setting it up in the first place is a PITA. could you show us how you have a power feeder configured on your cms? It's a generic 3 wheel power feed and I have a Basis table which is what preceeded the CMS. The CMS inserts all fit without modification and the one that I use has the OF2200 mounted in it. I dismantled the frame and inserted a piece of steel plate into the Basis's ali extrusion and tapped it for the front mounting bolts. The rear bolts are tapped into a block of ali which is then held in place by a set of T bolts. The length of the horizontal arm on the power feed is about 1" too short to swing the feed out of the way when changing cutters so you have to move the fence out of the way. The only problem that I have ever had is that I set it for a very large rebate cut and it blew the fuse in the Basis table. Had to go back and set it to do the cut in two passes. That's probably not ideal. For one, the incra base and fence can take up a bit of real estate and the rail on the MFT is offset from the right edge of the table. I haven't measured it, but you might be limited to 20" crosscuts doing what you suggested. Second, the incra fence spans the depth of the MFT completely, so there is no room for the MFT fence that is oriented perpendicular to your rail along the back of the MFT. You could use a pair of dogs instead. Now if you're using dogs for rail and stock alignment and just need that fixed stop, you might get up to a 24" crosscut capacity, maybe a little more. It's an alternate use for the incra fence, but I think it's main advantage is in use with the CMS. I dismantled the frame and inserted a piece of steel plate into the Basis's ali extrusion and tapped it for the front mounting bolts. Thanks - this is super interesting! Any chance I can bother you for a photo that shows the mod you did to the underside of the table and another that shows the entire table with the powerfeed installed (in other words, stand back and take a photo of the whole setup)? I would be most appreciative! To show how the steel insert is fitted I would have to completely disassemble the table by removing the parts that hold the legs on and then extract the ali extrusion that the power feed is bolted to. Not something that is easy. The table extrusion has a rectangular hollow section that I inserted the steel plate into from one end. 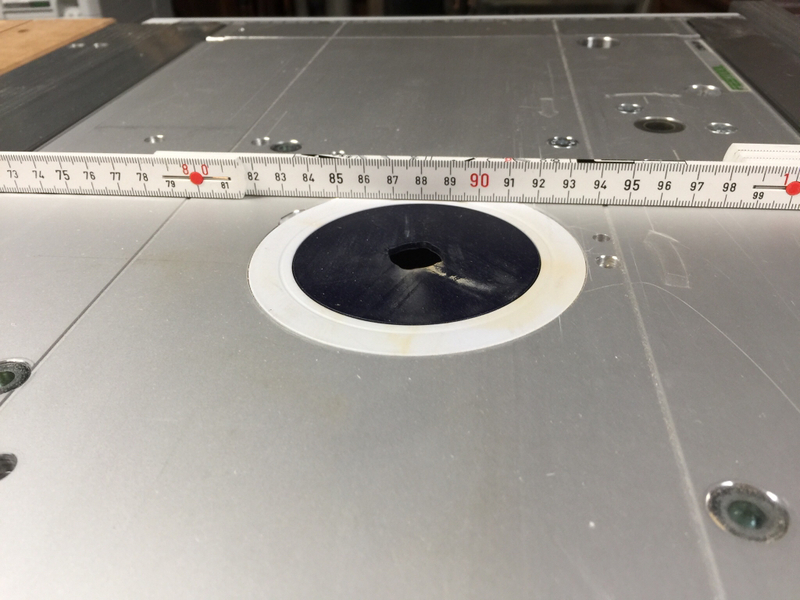 It was just a piece of 10 mm plate (IIRC) that I cut to fit the width of the hollow section and long enough to cover the width of the power feed base. I drilled the holes in the ali section to suit the power feed base, inserted the steel and while holding it in place, marked one of the holes in the steel. I then tapped it and refitted the steel to the ali holding it in place with a bolt. Drilled and tapped the other hole. I then mounted the base of the power feed by one bolt and after removing the original bolt, fitted the other one. @Bohdan - Ah, I get it. That makes sense. And thanks for the additional image. That's a great setup! 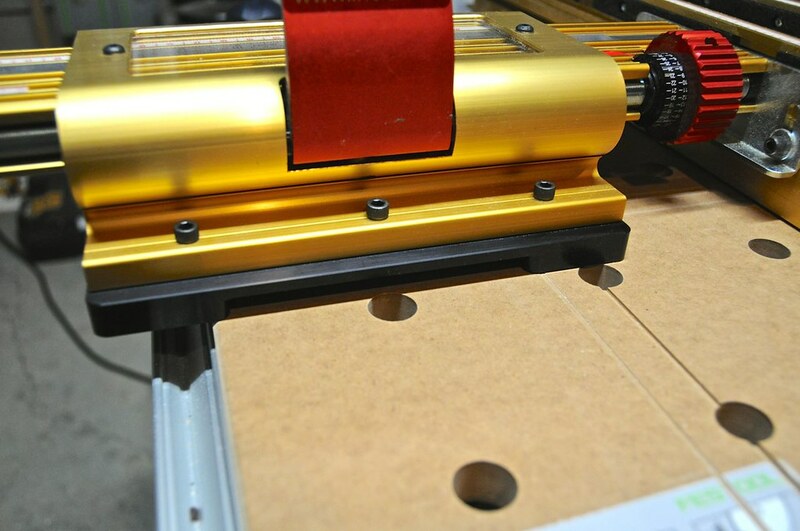 BTW The power feed can also be used with any of the saw modules by just changing the insert. In contrast to the design of the CMS base unit, the Basis has a lot more to work with for mounting a power feeder. Any chance someone, bkharman? could post pictures of there saw module in the cms and give some feedback on its pros and cons, I ordered a cms-v, and am undecided on importing the saw module.